You can add comments to a session in two ways. 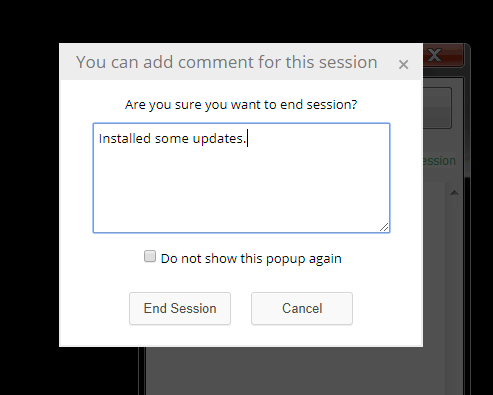 To get started open your profile and enable the After-session comment popup checkbox. You will be prompted to enter a comment. You can disable this feature in your account Profile using Comments after session checkbox. Find the desired session and click Add Comment. You can view session comments on the Logs page in your DeskRoll account. The comments are included into invoices by default.